Miguel Miranda began his career in group insurance in 2003 with Generali in Portugal after his work as a Credit Controller at Finantia bank. In over 15 years, Miguel held several positions in Actuarial, Underwriting, corporate client relationship, sales and management in Portugal, Western Europe and Switzerland, lastly as Regional Head of Sales was leading and managing a sales teams in UK, Ireland, Denmark, Sweden, Norway, Finland, Russia, Germany, Poland, Hungary, Slovakia, Czech Republic, United Arab Emirates, operating with quantitative sales targets (acquisition, retention and expansion) and qualitative targets such as for example compliance with all sales and underwriting procedures. Miguel was member of the Management Team (MT), direct report to CEO Swiss Life Network with functions of Client Relationship Manager and Competence Center within Sales division for technical/actuarial topics in the group’s employee benefits network. 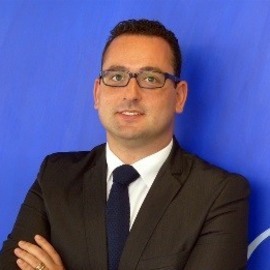 In September 2013, Miguel joined Zurich as Network partner Manager and Head of UW for the Zurich Employee Benefits Network. Since 2014, he is the Head of Pricing and Underwriting with the mandate to develop overall technical oversight of ZGEBS business including managing margin and monitoring of profitability, and to issue and review relevant technical guidelines and processes, support business in delivering challenging growth plan whilst achieving appropriate profitability in association with the general insurance counterpart within the Group.